The cool breeze from morning to evening makes us realize that autumn has come. During the fall season, dry air not only weakens the skin's immune system, but also makes it easier to cause pigmented diseases such as melasma and freckles because of strong ultraviolet. Pigmented skin is hard to be improved by only cosmetics. More time is passed, more obvious color is appeared, so patients to visit dermatologic clinics for pigmentation treatment are increasing. There are various types of laser devices for pigmentation treatment according to various pigmentation lesions and PicoLO Toning is received attention among them. PicoLO Toning upgraded from laser toning made up for weak points by thermal typed laser devices, such as skin damages and low effects. PicoLO Toning makes a quick penetration with high energy and delivers a laser beam effectively without any damages around surrounding skin. Through this process, it minimizes pain and burning sensation and destroys color particles effectively. PicoLO handpieces are composed of 3 types, Zoom, Collimator, and Fractional. PicoLO Toning is available for customized treatments for various pigmented diseases such as melasma, Otta’s Nebus, inflammatory hyperpigmentation, uncurable pigment diseases, and tattoos. It also helps your skin to be more vital and healthier because it generates collagen and elastin to remove wrinkles and to intensify skin elastic force. 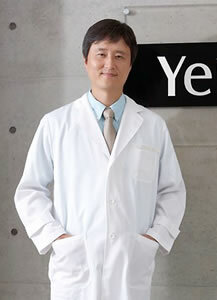 Woo-Jung Tak, a dermatologist from Yein Clinic Kwang Jin said that although PicoLO Toning is verified its effects, several side effects such as burning, PIH, and blister might occur unless you treat a proper area with an appropriate fluence under accurate diagnosis. He also emphasizes that you should be treated by a healthcare professional who totally understands patient’s skin condition. He moreover adds that you carefully should search clinics that equip various types of laser devices by skin diseases for customized treatments because each patient has different skin disease, lesion size, depth, and length. Especially, he explained that you could expect not only safe, but also higher effects from treatments by checking and choosing clinics that have various elements such as obtaining genuine equipment approved by the health authority, systematic care process status, and management of equipment with a thorough disinfection management system.